The Irritating Maze is probably the oddest game in the SNK Neo Geo lineoup. 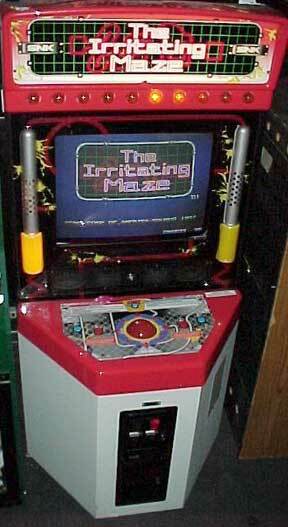 This is a trackball based game where you try to navigate a ball around a maze. It has the added feature of an air compressor that will shoot air at you during the game. Wish I could say that I have played it to give you some more info on the whole air thing. While being classified as a MVS game, it has some major differences. Please see RevQuixo's contribution on the Irritating Maze conversion kit.